New York City skate enthusiasts revisit Air Force 1 lineage. 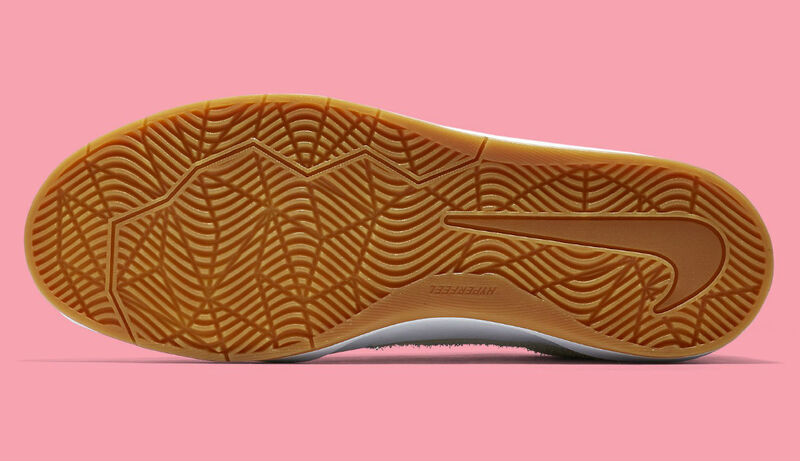 Purveyors of all things New York City skating, Quartersnacks is back in the fold with Nike Skateboarding for another sneaker collaboration. This time around, the two crafted a cleanly executed SB Bruin Hyperfeel, drawing inspiration from the "Linen" Air Force 1 and the Quartersnacks crew's love of pink cell phone cases. 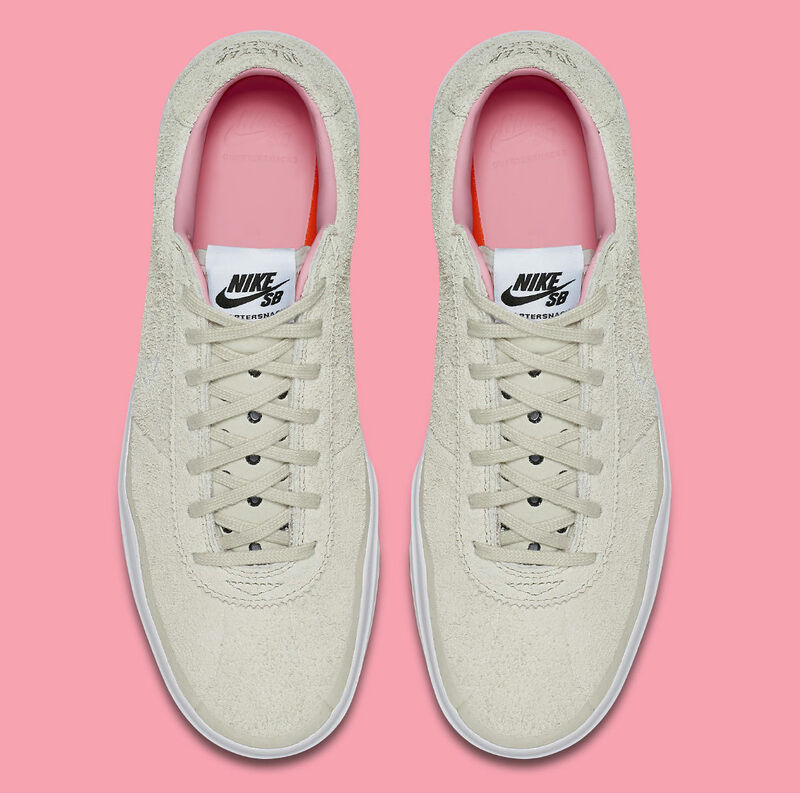 A natural birch suede upper gives the shoe refined style, while much needed flavor is provided by pink insoles and gum rubber outsoles. 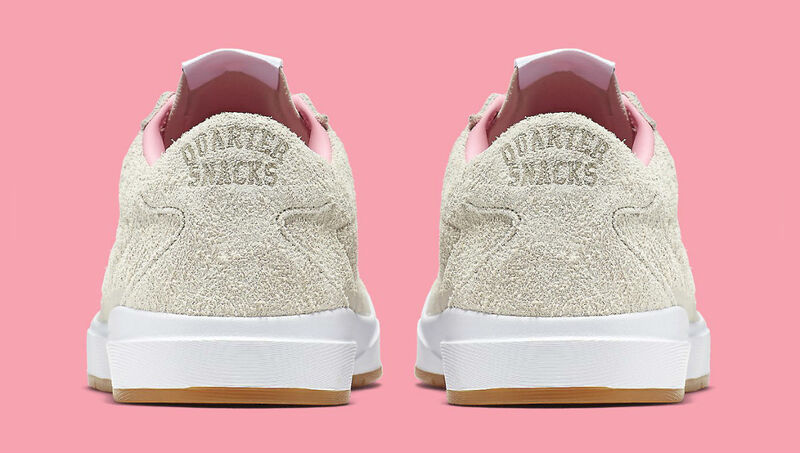 Quartersnacks is called out on the tongue tags and heel embroidery. Look for this collaboration to release next Thursday, Oct. 13 for $90 on the SNKRS app and hit the follow button for updates.